A brow lift repositions and elevates the brow to rejuvenate the upper face. The procedure not only smooths the forehead but can also serve to open the eye area to create a more refreshed and rested appearance. Some women choose to have a brow lift after living for years with forehead wrinkles and ridges. Others are long-time BOTOX® users who feel that injectable treatments no longer provide satisfactory results or make their drooping brow worse. Then there are those who are simply unable to put makeup on their upper eyelids because the lids are hidden under their drooping brow. The brow lift procedure may be performed alone or in combination with eyelid surgery, facelift (to restore the mid-to-lower face), or other procedures for a more overall rejuvenation. Dr. Michael Zenn brings unparalleled training and experience to the Raleigh and Cary area. An examiner for the American Board of Plastic Surgery, Dr. Zenn is fellowship-trained in facial procedures and is an innovator in the field of aesthetic plastic surgery. Patients who choose him for their care can expect natural-looking outcomes that restore their appearance to a more youthful state. Use a delicate and precise endoscopic surgical technique through remote incisions hidden in the scalp. Patients in the Raleigh and Cary area rely on his unique skills to achieve results that look refreshed and natural. Address both position and shape of the eyebrows with a brow lift. This restores a youthful arch to the eyebrow, which may have flattened out over time. Eliminate the wrinkles in the skin that occur as the muscles of the forehead attempt to elevate the drooping eyebrows away from the eyelids. This procedure opens the eye area, creating a more youthful appearance, relieving the forehead muscles and eliminating wrinkles. Examine your face to assess the position and shape of your brow and the laxity of your skin. Evaluate your natural ability to protect and lubricate the eyes. Determine which procedures will benefit you. A brow lift will give some patients their desired look. For others, Dr. Zenn may also recommend eyelid surgery to reshape and refine the eyes. Still, others may require a procedure to support weak eyelids. 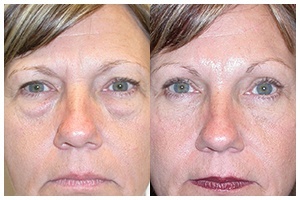 Some patients may benefit from a facelift to address signs of aging in the mid-to-lower face. Possibly suggest fat transfer if hollow areas are causing you to have a drawn or tired appearance. Transfer of fat will smooth out and add youthful fullness to these areas. At every step under Dr. Zenn’s care, patients can expect personalized treatment and individual attention. He will take the time to listen to your questions and concerns, assess your needs, and explain your options and his recommendations in detail. Use precise endoscopic techniques to minimize scarring. Reposition and elevate your brows to their ideal position. This will smooth your forehead, reshape the arch of your eyebrows, and give your eyes a more rested youthful appearance. If required, use liposuction to collect fat from unwanted areas of the body and then transfer it as needed to replenish lost volume to your eye or cheek areas. Most patients go home within an hour of completion of surgery. Depending on your specific procedure, you can expect some mild soreness, bruising, and swelling for about a week. Dr. Zenn will recommend you stay home and take it easy during this time. You should be able to return to work after two weeks and resume regular activities after four weeks. The initial swelling the first few weeks after surgery can actually look pleasing and allow for normal social interaction if bruising is minimized or can be hidden with cover makeup. With a brow lift, you can enjoy the benefits of a rejuvenated, natural appearance and greater confidence in the way you look. Raleigh and Cary area patients interested in exploring brow lift should contact Zenn Plastic Surgery online or by phone at (919) 480-3885.